Brain surgery is precision business, and one slip can spell doom for affected patients. Even in one of the most skilled jobs in the world, human error can still be a factor. Researchers from the University of Utah are looking to provide less opportunity for those errors to occur. A robot that the team is developing is able to reduce the time it takes to complete a complicated procedure by 50 times. Some farmers already use drones to monitor their crops, but a team of researchers from Georgia Tech have created a far more interesting alternative. Instead of designing yet another drone, they created a robot inspired by Kristen Bell’s favorite animal: the sloth. However, they named it “Tarzan” after the most recognizable character who moves by swinging from vine to vine. Their machine was designed to move like the fictional jungle dweller. Tarzan will be able to swing over crops using its 3D-printed claws and parallel guy-wires stretched over fields. It will then take measurements and pictures of each plant with its built-in camera while suspended. Our fear of artificial intelligence – Is it for all the wrong reasons? People in Britain are more scared of the artificial intelligence embedded in household devices and self-driving cars than in systems used for predictive policing or diagnosing diseases. That’s according to a survey commissioned by the Royal Society, which is billed as the first in-depth look at how the public perceives the risks and benefits associated with machine learning, a key AI technique. If you want curves like this, you’ll need a robot. Designed by architects Archi-Union, the undulating exterior of the Chi She Gallery in Shanghai was made using an adapted car-manufacturing robot. “We used digital tools to transform geometry data to digital-fabrication data,” says Li Han, chief architectural designer at Archi-Union, who spent five years making the cyborg helper. 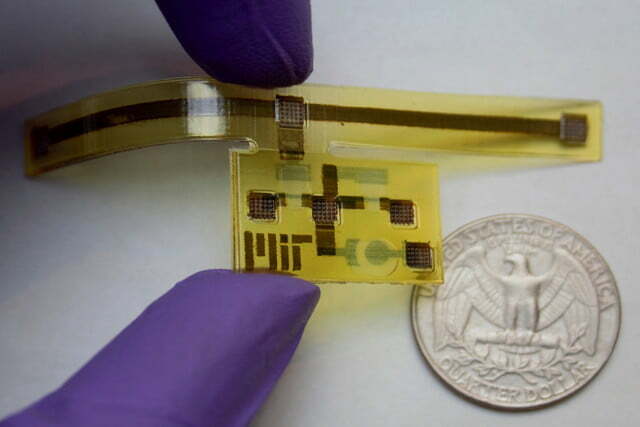 Researchers at the Massachusetts Institute of Technology have created a 3D-printed robot “skin” capable of changing color according to the physical stimuli that it receives. The work was inspired by the so-called “goldbug,” a golden tortoise beetle, which changes color in the wild.